Kampfgeschwader 100 “Wiking” (KG 100) was a bomber unit of the German Luftwaffe during World War II. Originally formed as 7. Kompanie Luftnachrichten Schul- und Versuchsregiment (1. Staffel) and 8. Kompanie Luftnachrichten Schul- und Versuchsregiment (2. Staffel) the unit had been renamed to Luftnachrichten-Abteilung 100 in August 1938. [break][break]In November 1939, three month into the war, the unit was removed from the Luftwaffe Signal Corps and formed an independent bomber group, Kampfgruppe 100 (K. Gr. 100). [break][break]It was not before December 1941 that the Kampfgruppe 100 had been formally organized as a Geschwader – Kampfgeschwader 100– with initially two Gruppen, later four Gruppen. The unit was dissolved in the early months of 1945 after having suffered heavy losses. Formed before the war, the later Kampfgeschwader 100 served under different names in the beginning. 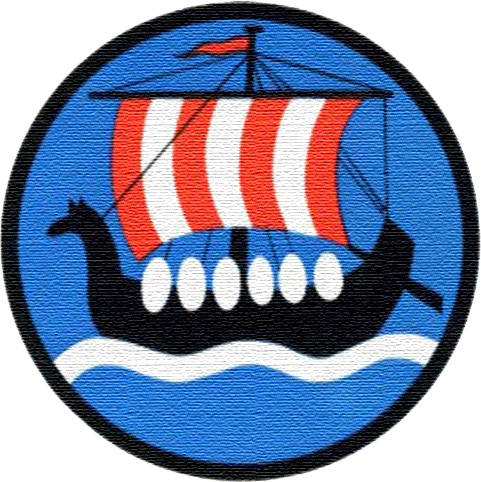 It participated in the Polish Campaign in 1939, as independent Gruppe in the War over the North Sea (1939 – 1940) and in the Occupation of Denmark and Norway in 1940. Later in 1940, the Gruppe was moved to France and fought on the Channel Front (1940 – 1941) before it was moved east to the middle sector of the Eastern Frontin late 1941. Finally transformed into a full Geschwader in December 1941, the I./KG 100 was returned to the southern sector of the Eastern Front in 1942 and also operated the southern Eastern Front in 1943. After a switch between I./KG 100 and I./KG 4, the “new” I./KG 100 served on the Channel Front again, flying missions against England in 1943 and 1944 before it was removed from the Geschwader end of May 1944 and became III./KG 1. In December 1941, the III./KG 26 became II./KG 100 when the former Kampfgruppe 100 was officially transformed into Kampfgeschwader 100. The II./KG 100 served in the middle sector of the Eastern Front in early 1942 but was moved to Greece at the end of April 1942 where it operated until April 1943. The III./KG 100 was not formed before September 1942 when the former Aufklärungsgruppe (See) 126 became III./KG 100. It served in Greece in 1942 and early 1943. After the original II. Gruppe and III. Gruppe has been removed from Greece, they had been completely reformed from scratch in Germany. Eventually, they were moved back to the Mediterranean theater of operations in Juli 1943. In 1944, both groups remained in the Mediterranean until September 1944. The IV./KG 100 did not exist before December 1941 but the Kampfgruppe 100 already had an Ergänzungs-Staffel in 1940 (which later became IV./KG 100). The IV./KG 100served trainings and combat readiness training until it was dissolved in September 1944. 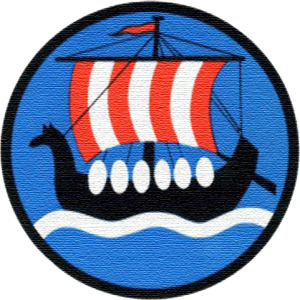 Kampfgeschwader 100 “Wiking” had selected a black Viking ship flying a red and white colored sail, white shields and a red banner on a blue background as the Geschwader’s coat of arms. The design is said to be dating back to the year 1940 and was proposed by Kpt. z. S. Helmut Grubbe[1. Balke, Ulf (1981), p. 26] who – at that time – was assigned to the unit on active duty. All aircraft of the Kampfgeschwader 100 “Wiking” used the Tactical Unit ID 6N. The story of Uffz. 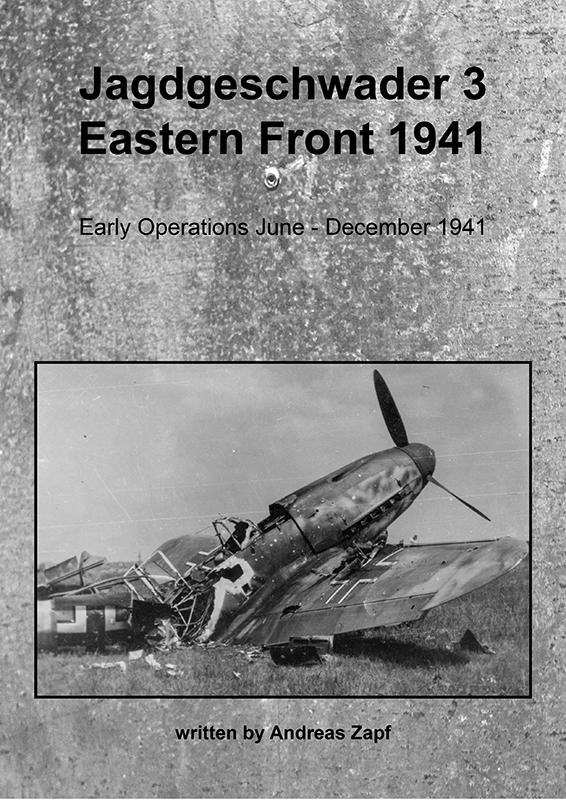 Hans Papenhagen and JG3 in the early days of "Operation Barbarossa" is now available at amazon.